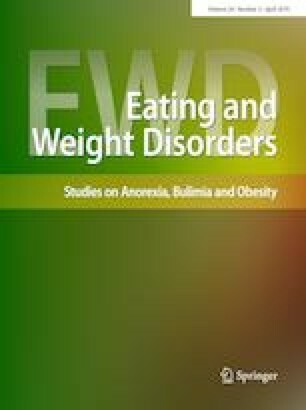 The aim of this study was to investigate the predictive value of early changes in depression levels during inpatient treatment of adolescent anorexia nervosa (AN). Fifty-six adolescents (88% girls) aged 10–18 years (M = 15.35, SD = 2.23) diagnosed with AN were assessed at admission and 1 month following admission to an inpatient setting. Depression levels and eating disorder symptoms were reported at both assessments. Re-hospitalization within 12 months of discharge was documented using official national records. Whereas depression levels at baseline were found equivalent between subsequently re-hospitalized and non-re-hospitalized patients, at 1 month after admission patients who were later re-hospitalized had higher levels of depression compared to those who were not re-hospitalized. These differences remained significant after controlling for weight gain and anti-depressant medication intake. We additionally found that the proportion of boys in the non-re-hospitalized group was substantially larger than their proportion in the re-hospitalized group. Our results suggest that depression at the point of hospital admission may not be a reliable predictor of treatment outcomes, and highlight the risk of relapse in AN patients whose depression levels do not alleviate after a month of inpatient treatment. Clinicians should consider providing more adjusted and intensive attention to such patients in their efforts to facilitate remission. This study was approved by the Rabin Medical Center Review Board (approval number RMC-0468-12). All the procedures performed in the present study involving human participants were in accordance with the ethical standards laid down in the 1964 Declaration of Helsinki and its later amendments. Written informed consent was obtained from all individual participants and their parents.